Finding the Minimum Cost Path in a Grid when a Cost Matrix is given. Finding the number of ways to reach from a starting position to an ending position travelling in specified directions only. Optimal Sub-structure:- Optimal solution to a problem involves optimal solutions to sub-problems. Overlapping Sub-problems:- Subproblems once computed can be stored in a table for further use. This saves the time needed to compute the same sub-problems again and again. Other values can be computed from them. See the code below for more understanding. // have already been calculated. Another variant of this problem includes another direction of motion, i.e. one is also allowed to move diagonally lower from cell (i,j) to cell (i+1,j+1). This question can also be solved easily using a slight modification in the recurrence relation. To reach (i,j), we must first reach either (i-1,j), (i,j-1) or (i-1,j-1). 2. Finding the number of ways to reach from a starting position to an ending position travelling in specified directions only. Problem Statement : Given a 2-D matrix with M rows and N columns, find the number of ways to reach cell with coordinates (i,j) from starting cell (0,0) under the condition that you can only travel one step right or one step down. Solution : This problem is very similar to the previous one. To reach a cell (i,j), one must first reach either the cell (i-1,j) or the cell (i,j-1) and then move one step down or to the right respectively to reach cell (i,j). After convincing yourself that this problem indeed satisfies the optimal sub-structure and overlapping subproblems properties, we try to formulate a bottom-up dynamic programming solution. Problem Statement : A robot is designed to move on a rectangular grid of M rows and N columns. The robot is initially positioned at (1, 1), i.e., the top-left cell. The robot has to reach the (M, N) grid cell. In a single step, robot can move only to the cells to its immediate east and south directions. That means if the robot is currently at (i, j), it can move to either (i + 1, j) or (i, j + 1) cell, provided the robot does not leave the grid. Now somebody has placed several obstacles in random positions on the grid, through which the robot cannot pass. Given the positions of the blocked cells, your task is to count the number of paths that the robot can take to move from (1, 1) to (M, N). Input is three integers M, N and P denoting the number of rows, number of columns and number of blocked cells respectively. In the next P lines, each line has exactly 2 integers i and j denoting that the cell (i, j) is blocked. //Note that we'll be using 1-based indexing here. 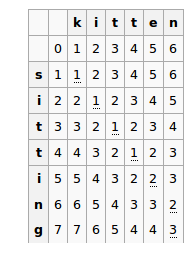 //Similarly initialize the topmost row. //simply ignore it and continue to the next iteration. Finally, we discuss another variant of problems involving grids. Problem Statement : You are given a 2-D matrix A of n rows and m columns where A[i][j] denotes the calories burnt. Two persons, a boy and a girl, start from two corners of this matrix. The boy starts from cell (1,1) and needs to reach cell (n,m). On the other hand, the girl starts from cell (n,1) and needs to reach (1,m). The boy can move right and down. The girl can move right and up. As they visit a cell, the amount in the cell A[i][j] is added to their total of calories burnt. You have to maximize the sum of total calories burnt by both of them under the condition that they shall meet only in one cell and the cost of this cell shall not be included in either of their total. The boy can meet the girl in only one cell. So, let us assume they meet at cell (i,j). Convince yourself that in no other case will they meet at only one position. Edit distance is a way of quantifying how dissimilar two strings are, i.e., how many operations (add, delete or replace character) it would take to transform one string to the other. This is one of the most common variants of edit distance, also called Levenshtein distance, named after Soviet computer scientist, Vladimir Levenshtein. There are 3 operations which can be applied to either string, namely: insertion, deletion and replacement. Dynamic Programming is not an algorithm or data-structure. It is a technique and it is applied to a certain class of problems. The key to figure, if a problem can be solved by DP, comes by practice.